I have added a beard to George as my father in law has beard! as is the birthday words. I was sent when sorting out my daughters wedding invites. 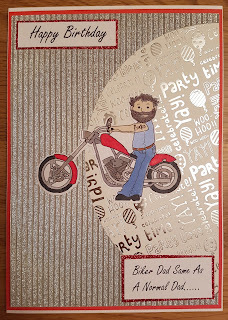 Biker Dad Same as a normal Dad just a lot cooler! Hi Nicky, Fab card and I love the sentiment. Brilliant card Nicky - perfect image and the sentiment is spot on! I bet this was a real hit! Thanks for coming to play in the Snippets Playground! This is such a fun male card. Love the image and sentiment. Thanks for joining us at Tuesday Throwdown. Super cute card! Love that adorable image!! 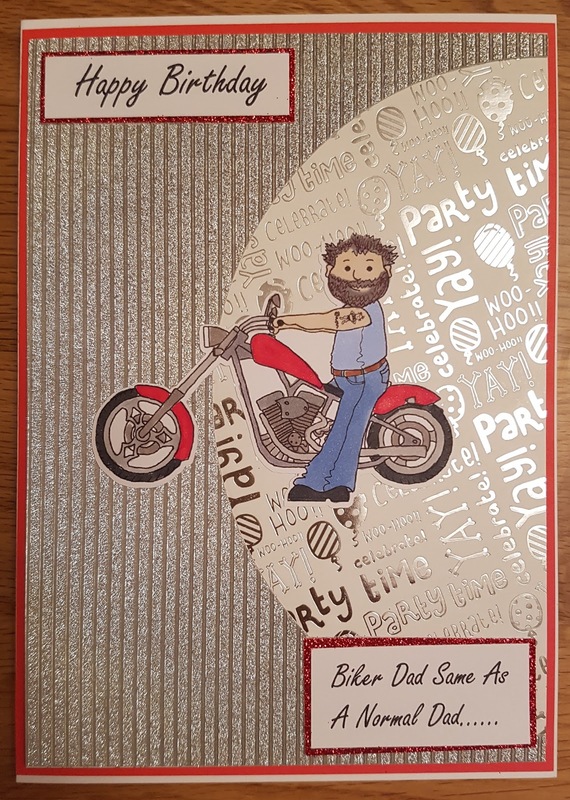 Love your biker dad, or should I say FIL! And love how you used glitter and shine while still keeping this masculine. Thanks for joining us at Naughty or Nice Challenges!